"A piquantly funny fifth novel." "Less is the funniest, smartest and most humane novel I've read since Tom Rachman's 2010 debut, The Imperfectionists....Greer writes sentences of arresting lyricism and beauty. His metaphors come at you like fireflies....Like Arthur, Andrew Sean Greer's Less is excellent company. It's no less than bedazzling, bewitching and be-wonderful." "I recommend it with my whole heart." 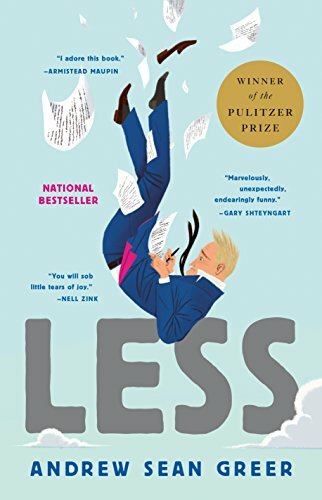 "Less is perhaps Greer's finest yet.... A comic yet moving picture of an American abroad.... Less is a wondrous achievement, deserving an even larger audience than Greer's bestselling The Confessions of Max Tivoli." The Pulitzer prize-winning novel about a failed writer trying to escape his problems by traveling abroad.